BJP received a blow in the bypolls across the nation. Bypolls were held for 4 Lok Sabha.. 10 Assembly constituencies in the eleven states and BJP lost its strong seats like Kairana, Noorpur. Among the crucial four MP seats, BJP won a single seat and its alliance party has won another seat. The opposition parties captured the two other BJP seats. Losing the Noorpur assembly constituency in UP is a shocker to the BJP. The ruling party and the opposition parties have responded to the BJP defeat. On the other hand, Opposition parties and BJP fought vigorously for Kairana seat. The opposition parties came together and supported a Muslim woman Tabassum as the candidate. She has defeated the BJP candidate with 40,000 votes majority and created a sensation. BJP's former ally Shiv Sena strongly reacted to the development saying that BJP doesn't need alliance partners and nobody will believe BJP. Senior BJP leader Subramanya Swamy said that BJP lost because of their arrogance. Chandrababu Naidu was alliance partner to BJP for the last four years and severed the ties recently. He made interesting comments on the recent election results. Discussion took place in AP Cabinet meeting regarding the bypoll results. Ministers have opined that the BJP's attitude is the main reason behind this kind of election result. While responding to them, Chandrababu said that it was TDP which talked first about the BJP.. and other parties started talking about BJP later. The ministers have told that BJP doesn't have the chance to win in the upcoming elections. Chandrababu said that people understood the Modi's magic with the words so the voters gave a shock to him saying that he should stop talking and start working. 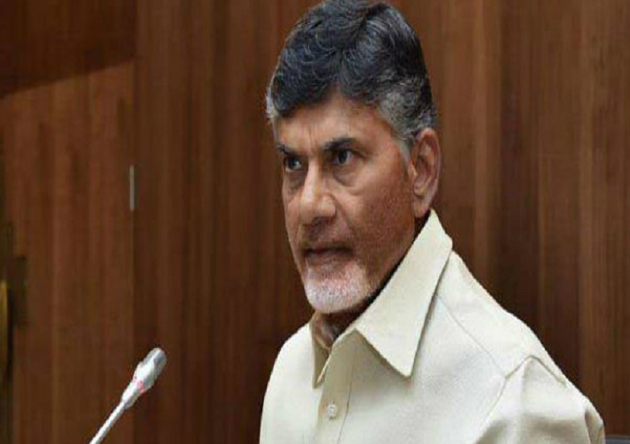 Babu alerted the TDP ministers to be careful with the results. He clarified that if they give more promises and don't fulfill them the results will be the same. Babu Vasthe Job? Just Rs 1000 After 4 Yrs Delay!